These days, the team of Royal Queen Seeds has over 20 years of experience but the success story of the Royal Queen Seeds seeds company starts in the capital of cannabis, Amsterdam, in the beginning of the nineteen-nineties. The Royal Queen Seeds seeds bank was founded back then by a group of dedicated and passionate cannabis growers who had decided to cooperate and to share their knowledge and experience as well as their love for the cannabis plant. It was their vision to provide the world with the best possible weed seeds and cannabis genetics and to make it possible for sick people to grow their own medicine at home, in their garden or indoors under a growlight. Medicinal cannabis is an important subject for the Royal Queen Seeds team, partly because medicinal cannabis has the ability of drastically improving the quality of life for some sick people. The legalisation of medicinal cannabis in several American States therefore is a good thing and partly helps medicinal cannabis in making a major breakthrough. Science has finally started conducting serious research on the advantages and characteristics of medicinal cannabis and discovers new applications almost every day. Royal Queen Seeds tries to contribute thereto by developing a line of medicinal cannabis varieties that are containing a high content of CBD. Our range of CBD-rich medicinal weed seeds can be easily recognised by the blue packaging.At the moment, the Royal Queen Seeds seeds bank is one of the fastest growers in the world of weed seed producers in Europe and strives to be one of the worldwide market leaders in the area of the production of cannabis seeds within a few years time. After having gained many years of experience and having produced seeds in the Netherlands, a new line of seeds was produced and introduced on the market under the name Royal Queen Seeds. This line became the basis for the brand and was the result of many years of hard work and experimenting with crossing the genetic material exchanged amongst each other by the team of Royal Queen Seeds growers. 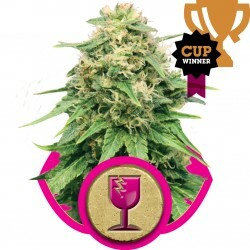 The Royal Queen Seeds seeds bank is the place to be for feminised weed seeds, autoflowering seeds and seeds of cannabis varieties with a high CBD-content. The most popular types among the Sativa-dominant variants are the Amnesia Haze, the Shining Silver Haze and the Haze Berry. In addition to the ICE (Indica Crystal Extreme), the generally known classic Northern Lights is the most popular type among the Indica-dominant varieties. For the autoflowering seeds, the Northern Lights Automatic with its sweet aroma and large yield appeals to our customers the most. The question is how long this will last because 5 new varieties were recently added to the range of autoflowering weed seeds, among which the White Widow Automatic and the Amnesia Haze Automatic. 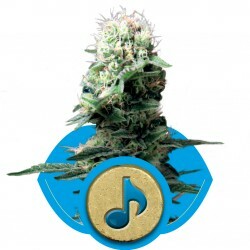 Throughout the years, the Royal Queen Seeds weed seeds have won many awards in several categories including the High Times Cannabis Cup, and the Highlife Cup which is world-famous in the Low Countries. The team is extremely proud of these achievements and gladly shares its knowledge and knowhow with other passionate cannabis growers, whether these are starters or experts. Also today the Royal Queen Seeds team continues its investigation and development of new types of cannabis. A number of new varieties are expected to be introduced which are now being finalised.